is the newest telecom company in India and it has disrupted the telecom industry by offering aggressively priced recharge plans ever since it forayed in the sector in September 2016. 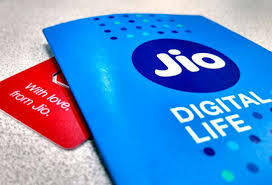 Reliance Jio offers five recharge plans for usage of 1.5 GB of internet data per day. Rs. 149 recharge pack: Under Reliance Jio's Rs. 149 recharge pack, customers can use 1.5 GB of high speed internet for a day. Along with high speed internet customers also get free local and STD voice calls and unlimited SMSes (100 per day) for 28 days, according to the telecom company's website - jio.com. Rs. 349 recharge pack: Reliance Jio's Rs. 349 recharge pack offers 1.5 GB of high speed data for 70 days along with free STD and local voice calls and unlimited SMSes (100 per day). Rs. 399 recharge pack: Jio's Rs. 399 recharge plan offers 1.5 GB of high speed internet along with unlimited free voice calls and unlimited SMSes service for a period of 84 days. Rs. 449 recharge pack: By recharging for Rs. 449 customer can use 1.5 GB of high speed internet for a day, unlimited free local and STD voice calls and 100 SMSes per day for a period of 91 days. Rs. 1,699 recharge pack: Under this pack Reliance Jio offers high speed internet data along with unlimited free local and STD voice calls and unlimited SMSes for a year (365 days).